“No justice, no peace”—these words are still echoing and falling, it seems, on the deaf ears of those charged to "protect and serve" and their indifference and homicidal deeds are repeatedly supported by United States political leaders with intolerance and hatred practiced at the highest level in the political structure of this country. Sitting inside the HBO's screening room, I wanted to cry, nay scream but the rising hairs on my arms and the back of my neck told me to hold study. My heart wasn't just heavy, it was cracking, held together by the flimsy tape of hope—‘how long could this hold?” I pondered. I could feel hands resting on my shoulder, whispering calming words in my ear. This is how I could watch and re-watch BALTIMORE RISING without howling like a mad woman. Directed by Sonja Sohn (one of the stars of the HBO series "The Wire"), BALTIMORE RISING follows activists, police officers, community leaders and gang affiliates, who struggle to hold Baltimore together, even as the homicide rate hits record levels. In the wake of the 2015 death of Freddie Gray in police custody, the city of Baltimore was tittering precariously, on the edge. Despite the number of peaceful protests, the boiling pint was so high that riots erupted in the immediate aftermath of Gray's death, then the city waited to hear the fate of the six police officers involved in the incident. It was agony felt across the country and it reflected the very deep divisions between authorities and the community - and underscoring the urgent need for reconciliation. Reconciliation is that even possible? This dire situation has a very long and brutal history and Sohn’s BALTIMORE RISING chronicles the determined efforts of people on all sides who fight for justice and work to make their city better, sometimes coming together in unexpected ways, discovering a common humanity where before they often saw each other only as adversaries. Commissioner Kevin Davis has led the Baltimore Police Department since 2015. Genard "Shadow" Barr (community leader, former gang member) is an addiction recovery specialist at the Penn-North Recovery Center, where he also helps organize a reentry jobs program for community members. Adam Jackson (activist) is CEO of the grassroots think-tank Leaders of a Beautiful Struggle. Dayvon Love (activist), director of public policy for Leaders of a Beautiful Struggle. Lt. Colonel Melvin Russell, chief of the Community Partnership Division, Baltimore Police Department. Dawnyell Taylor (police detective) has been with the Baltimore City Police for more than 16 years. In 2015 and 2016, she was the lead investigator in the Freddie Gray homicide case and testified at the trial of Officer Caesar Goodson Jr., who was charged with Gray's murder. Taylor continues to serve in the police academy in Baltimore. 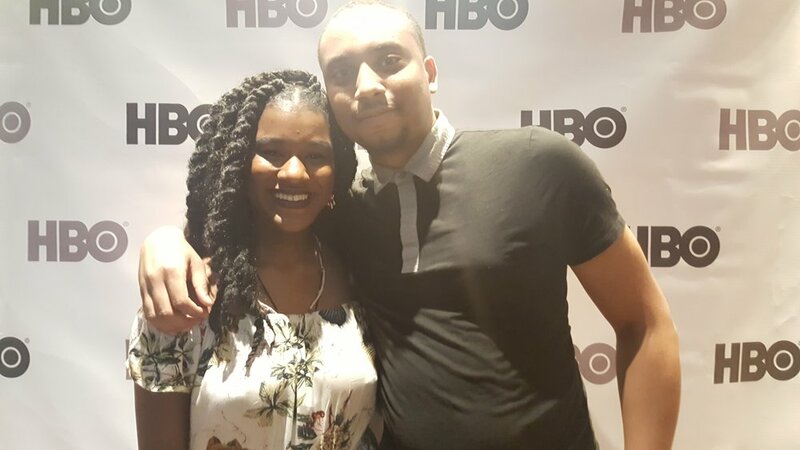 Amongst those interviewed in the documentary, two young people stood out — Makayla Gilliam-Price (activist) founded the youth justice organization City Bloc as a high school student and Kwame Rose (activist), an artist, writer, musician and public speaker. Here is a brief excerpt from a chat with Makayla Gilliam-Price and Kwame Rose. Lapacazo Sandoval: Kwame Rose as an activist you are also an artist, writer, musician and have added public speaking. What has changed since the uprising that followed Freddie Gray's death? Kwame Rose: That’s a great question. The answer is complicated and a bit long, but to sum it up I am learning about how things work from the inside. I am currently working actually in the office of the Baltimore Mayor, Mayor Catherine Pugh. Makayla Gilliam-Price: In a lot of ways that’s true. In the years since filming the documentary, and now I’ve grown up. I graduated high school and I am attending college. I am also very involved in organizing the grassroots think-tank Leaders of a Beautiful Struggle, and I am learning something new every single day.